The B est Western Hotel continues its long tradition of providing hospitality to Waltham visitors. The Best Western Hotel offers 100 recently refurbished guest rooms, over 8,000 square feet of meeting and function space, free continental breakfast, free WI-FI and an indoor pool and fitness room. The Copper House Tavern, our full-service restaurant and lounge, features an open kitchen design with a contemporary American menu. The lively bar area features ample flat screen TV’s and over 40 beers on tap. The Best Western Hotel is located right at exit 27A off Route 128. The Best Western Hotel is an excellent choice to launch your day trips, conduct your business, or wrap up your day. At the Courtyard Marriott Hotel in Waltham, you’re located strategically along Route 95/128, only 20 minutes to downtown Boston and just 10 minutes away from historic Lexington and Concord. Our 119 newly renovated guest rooms are designed to accommodate guests’ every need whether you are here to relax or do business in today’s connected world with our complimentary high speed internet. Our new lobby and Bistro restaurant, serving Starbucks, ensures that you have all of the amenities to keep you productive and relaxed while staying in Waltham. From the interactive lobby to the Bistro’s delicious meal selections and signature cocktails we provide you with a relaxing and connected experience. Crescent Suites wa s designed with your comfort and convenience in mind. Your home away from home. Just minutes from downtown, your options for work, play or just relaxing are numerous. Enjoy a short walk to local shops, restaurants, museums and theater. Enjoy our complimentary full breakfast buffet each morning or sit and relax in our lobby café with a delicious cappuccino or espresso. If you like, do your own cooking in your suite’s fully applianced kitchens, then soak luxuriously in an over-sized tub. Need to get some work done? Crescent Suites offers free, high-speed Internet access and free, local and U.S. long distance calling. Our business center also offers access to computers with printer, fax, scanner and copier. The fitness enthusiast can take advantage of our onsite fitness center or take a brisk run or walk down the bike trail along the beautiful Charles River. During the warm weather feel free to BBQ on our outdoor grille or simply relax on the outdoor patio. Whether you are in town for a quick visit or a longer stay, for business or for pleasure, make your stay a suite one here at The Crescent Suites Hotel. Welcome to Emba ssy Suites Waltham located in Waltham’s High-Technology, Pharmaceutical, and Life Sciences Belt and corporate corridor along Route 128 and Highway 95. Our upscale hotel is just 20 minutes to downtown Boston and 25 minutes to Logan International Airport, convenient to Brandeis and Bentley Universities, Wellesley and Regis Colleges. If you’re traveling to Waltham on business or vacation, enjoy spacious two-room suites, complimentary cooked-to-order breakfast and a complimentary nightly Manager’s Reception*. Plan your business conference, reunion, Bar Mitztvah, or wedding in one of our nine meeting and banquet rooms which can accommodate up to 300 guests. Enlist our experienced catering and meeting staff to plan a memorable event. Our all-suite hotel provides you with more. Enjoy signature omelets at our complimentary cooked-to-order breakfast, complimentary parking, a 24-hour BusinessLink™ Business Center, indoor heated pool, and 24-hour fitness center. Meet with family in the Atrium Lounge in the heart of the hotel. Unwind in your spacious two-room suite with separate living areas, additional sleeper sofas, wet bar, and refrigerator. Fully equipped kitchens with full-size fridge, range top, microwave, toaster, coffee maker, dishwasher, and cookware. 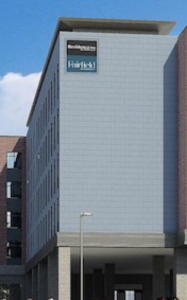 At the crossroads of past & present, academia & athletics, culture & entertainment, the Fairfield Inn & Suites by Marriott Boston Waltham also stands at the junction of comfort & productivity, business & pleasure. Our Waltham hotel’s flexible rooms & suites welcome you home to luxury Marriott signature bedding, free Wi-Fi, flat-screen TVs with premium channels, & well-lit workspaces with ergonomic seating, for both an enjoyable & productive stay. Welcome to our Hampton Inn & Suites Boston Waltham hotel, located right outside of Boston in NewEngland’s high-technology corridor, and to the famous bars and restaurants on Moody St.
Scientific, Raytheon, National Grid, Wolverine, Fresenius Medical, Parexel, Dassault Systemes Perkin Elmer, Tesaro and many others. 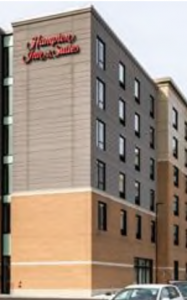 The hotel is also located only few miles away from downtown Waltham and the famous Moody Street, lined with restaurants featuring ethnic cuisines from around the World, it offers something for just about everyone, whether you want a spicy Indian curry dish or a relaxed sports bar to grab a beer. Locate d in the center of the Massachusetts Route 128 technology belt, only 30 minutes from downtown Boston, the Hilton Garden Inn Boston/Waltham hotel really lets you make the best of your time in the area. With great transportation links, you are in easy reach of the area’s top sites and attractions. Only minutes from Brandeis and Bentley Universities, HGI in Waltham is perfect if you are in town to visit the kids at college or attend a reunion. We promise to do whatever it takes to ensure you’re satisfied, or you don’t pay. You can count on us. GUARANTEED™. The Holiday Inn Express is conveniently located in the heart of Waltham, directly off Route 128/Interstate 95, only minutes to downtown Boston and just 10 minutes away from historic Lexington and Concord. The Holiday Inn Express offers 108 newly renovated guest rooms, each designed to make your stay in the area as comfortable as possible. All our guests enjoy the following complimentary amenities: Express Start Breakfast Bar®, wireless interest access, overnight parking, use of business center and fitness room. Enjoy our oversized One and Two Bedroom Suites with all of the comforts of home and the luxury of Hyatt. Each of our unique suites has a fully stocked and updated kitchen with stainless steel appliances. Whether you want to take a dip in our heated outdoor pool (seasonal), grill up a steak and relax in our beautiful garden patio courtyard, or continue your new year’s resolution in our advanced StayFit fitness center, our comfortable spaces and inviting places are designed with your everyday needs in mind. Our goals is to provide you with the best value, so we don’t nickel and dime you on the extras. We offer a complimentary full hot breakfast buffet featuring freshly prepared items by our culinary team. Monday through Thursday enjoy our evening social and mingle with other guests. Our complimentary lineup includes High Speed WiFi, HD television with HBO, parking and shuttle services in the town of Waltham. The Hyatt House is the perfect destination for a family getaway, an extended stay, or even a short business trip. Please call one of our Guest Hosts or visit our website for even more details. 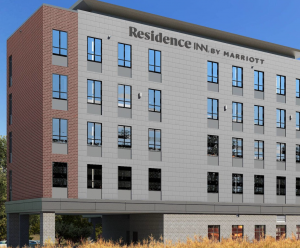 Located in the heart of the bustling city of Waltham, Residence Inn by Marriott Boston Waltham is the premier all suites hotel. This hotel is also unique in that it is connected under one roof with a Fairfield Inn and Suites. The fusion of these two unique Marriott brands allows you to take advantage of extra enhanced amenities throughout the property. Located near historic Waltham, Lexington, Concord and only 15 miles from downtown Boston, The Westin Waltham – Boston invites you to relax in the spacious guest rooms featuring the Westin signature Heavenly Bed®. All guest rooms and suites feature contemporary amenities and spacious bathrooms. Enjoy breakfast, lunch, or dinner in Seventy @ Third, featuring authentic New England cuisine. The hotel features an indoor heated pool, oversized whirlpool and WestinWORKOUT® Gym. Visit the website for more information and hotel special offers.